Fundraiser by Debbie Messinger DeLorenzo : Mike and Boys- We got you! Mike and Boys- We got you! Help is Needed Immediately for one of our own. 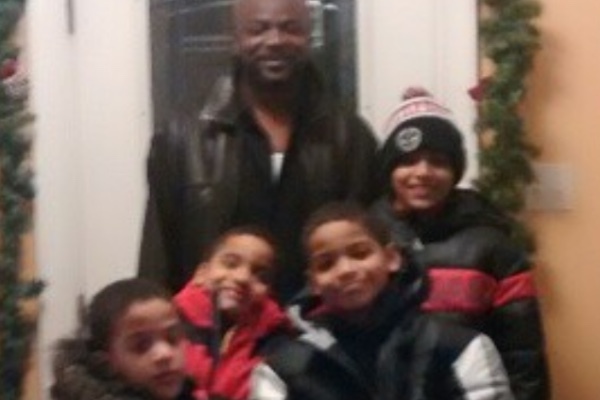 A single Dad with four boys who is now homeless. If you are able to help in anyway, please do so. The goal is to help our friend with a down payment and three months of rent to get him back on his feet. Update 10/12/2017: Because of bad credit, we need to pay rent up front for one year. I have provided a roof over his head for three weeks in my RV at the local campground to be able to have a homebase. We are looking for an inexpensive rental (1,500.) Update 10/22/2017: Apartment has been secured, the funds have been raised and I am waiting for the Go Fund me page to release the moeny so I can pay this rent: PAID IN FULL. 10/29 - Funds have been released and the check has been written. I told "him", we will not carry you but we WILL pick you up and hold you. This Dad also had to cut down on his work hours (40 hours to 20 hours) due to being a single Dad and getting his boys on and off the bus. One of his sons has a disability and needs extra attention and care. I have known this family for most of my life, as have most of you. He is a good man with a good heart. Thank you. The goal is set at $10,000 - if we can get $5,000 - I would be estatic. UPDATE: I have changed the goal to $35,000 due to the rent needed up front, and the the work that he needs on his car. It is literally falling apart and only one door opens, not to mention all the other problems with his vehicle. I don't think it's going to last much longer. Update 10/22: With my meeting with Steve Kalafer, owner of the Somerset Patriots and the mega sucessful car dealership owner, we have reserved a used relaiable car for him at a special price. This is a surprise. Shhhhhhhh. Please don't tell Mike. He has no clue. Any leftover money will be used to getting furniture for his apartment and Christmas gifts for the upcoming holiday. Christmas is 2 months away and it would be wonderful for Mike to be able to provide a beautiful Christmas for his son. Can you imagine the cost of buying for four boys when you don't even have a home? This cause is bigger then all of us. We need to lift the burden and if we all help, we can do anything!!!!! Mike has always been kind, caring, funny, giving, non-judemental and always strived to do the right thing. His Mother who has passed would be so proud of him. People like Mike are rare. If only more people were like Mike, this world would be much different. Wouldn't it feel WONDERFUL to give to someone and have a part in changing his life and providing him with a fresh and new start? No one deserves this more then this family and I ask you to PLEASE give what you can. If you are unable to give at this time, please keep Mike, Dante (14), Andre (12), Devon (10), and TT (10) in your thoughts and prayers. For the people that have already donated to this fund or have supplied the various items that I have requested, and the time you have given...may God Bless you and thank you. WE ARE ALL HUDSON STRONG!